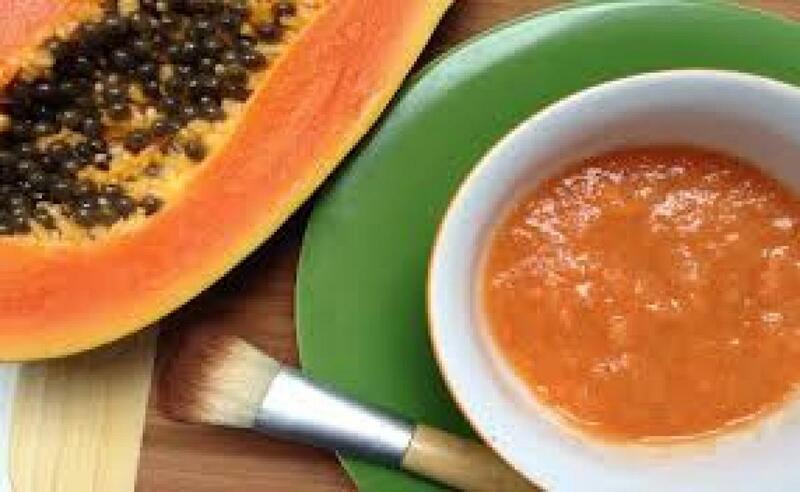 Home Remedies To Remove Unwanted Body Hair: Papaya Paste Can Help. Reema Arora, cosmetic physician at capital-based Reva Clinic, says there are various DIY (do it yourself) ways to do away with body hair for some time, but they all come at a price. New Delhi: Don't want to go through burns, ingrown hair, skin darkening or physical pain while getting rid of body hair? As the World Environment Day is on Friday, let's do our bit by exploring the benefits of raw papaya paste or banana and rice flour scrub to diminish body hair rather than relying on chemical-laden products. Reema Arora, cosmetic physician at capital-based Reva Clinic, says there are various DIY (do it yourself) ways to do away with body hair for some time, but they all come at a price. "Shaving and depilatory creams only trim the hair without touching the roots. This can cause dryness and irritation to the skin. The creams have a darkening potential," Arora told IANS. Sonam Yadav, dermatologist of Three Graces, Delhi, says shaving is quick, easy and cost effective but can also give the impression of hair thickening. "Chemicals in hair removal products work by dissolving the hair protein. They often cause allergic reactions and skin darkening. A patch test must be done on the inside of the elbow or on the neck, before using any such creams. Perfumes, contaminants and additives in wax can also cause such reactions," she warned. "There is laser also. It is costlier and must be done by qualified persons under doctor's supervision. It starts from approximately Rs.1,000 per session for a very small space. The number of sessions varies from person to person. It is generally between six and eight sessions," she added. Bharti Taneja, founder-director of Alps Beauty Clinics, says the appearance of body hair may be diminished by going natural! "Prepare a regular ubtan by mixing equal quantities of two tablespoons of gram flour, two tablespoons of sandalwood powder, one tablespoon of fresh cream, one tablespoon of mustard oil, one tablespoon of rosewater along with a few pinches of turmeric. "Apply it all over the area with unwanted hair and let it sit for 15 minutes. Now, rub against the direction of the hair growth and wash away with cold water," she added. "Make a granular paste of masoor daal (pulse) and add some honey, sandalwood powder, multani mitti (fuller's earth) and apply all over the skin. After it semi-dries, rub it off in anti-clockwise direction and rinse away. This will also help in delaying the hair growth," said Taneja. There are more easy-to-prepare pastes that you can try. "Make a paste using raw papaya, aloe vera gel, gram flour and turmeric powder, and then apply on the body part. Papain (active enzyme of papaya) helps in breaking down hair follicle and prohibits hair growth," said Priti Arya, consultant, dermatology, Fortis Memorial Research Institute. She also suggested to use chickpea flour, milk and turmeric paste. "Sugar, lemon and honey mix is good too. This mix forms a sticky paste which helps in plucking unwanted hair," said Arya. K. Veena, founder, Naturals, hair and beauty salon, says for facial skin, which is thinner and more sensitive, a natural paste made with turmeric, besan powder (chickpea flour powder), neem leaves (powdered) and raw milk can help. "Apply this mixture on your face and leave it on for 15 minutes. When semi-dry, massage with the tips of your fingers using slow circulation movements. The paste acts as an exfoliant, and turmeric present is a natural antiseptic known to control hair growth. Besan and milk are natural cleansers," she said. A peel-off mask made of beaten egg white with a few drops of lemon is also very effective. "It not only tightens and lightens the skin but also strips off hair when being peeled from the face," said Veena. For hands and legs and other parts of the body with thicker skin, a slightly grainy scrub made of banana and rice flour can be used to massage all over the body before bath. Results are not immediate and the key is to be patient.